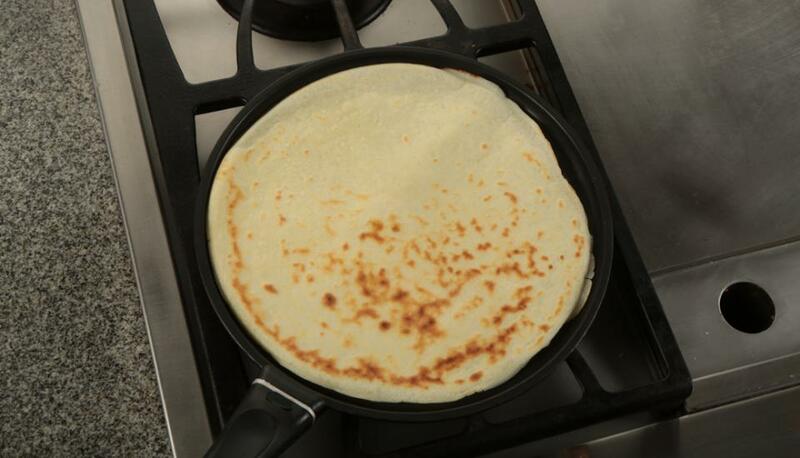 Crêpes, originally from the Brittany region of France, are a thin style of pancake. Unlike traditional pancakes, crêpes are often served rolled with a sweet or savoury filling added and can be enjoyed for breakfast and even dinner! Popular fillings include fruit, chocolate, cheese and meat. For a simple treat serve with a little sugar and a squeeze of lemon. Combine eggs and salt in a bowl. Gradually add flour alternating with milk and whisking until smooth. Slowly whisk in butter or oil. (You can also use a blender for this step. Process all ingredients until smooth, about 1 minute). Refrigerate batter for at least 30 minutes to allow flour to expand and air bubbles to collapse. Batter may thicken during this time. You can thin batter if necessary by adding a little more milk or water. 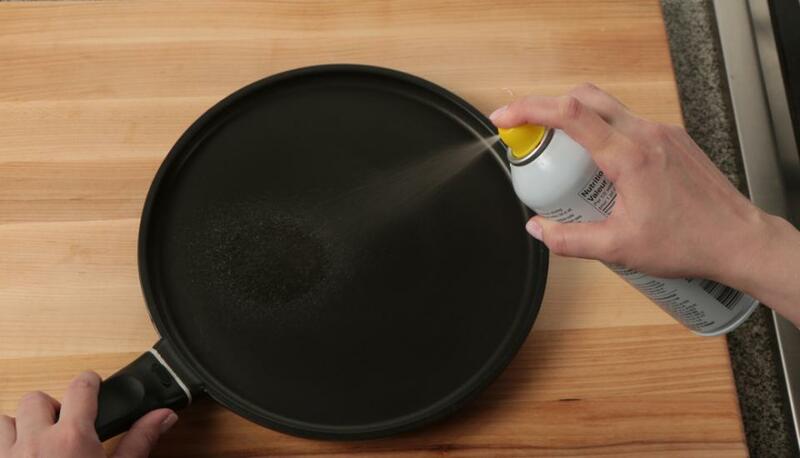 Coat your crêpe pan with a little butter or cooking spray. Heat over medium-high until water droplets sizzle when sprinkled into skillet. Stir the batter and pour about 3 tbsp (45 mL) batter into skillet all at once. Quickly tilt and rotate skillet while shaking gently in a circular motion to coat bottom with batter. 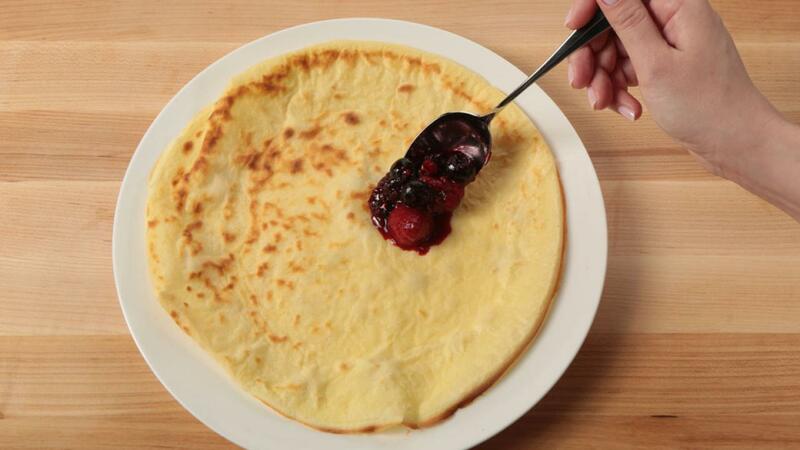 Fill the crêpe with your favourite ingredients and enjoy!